Smudge, 11-month-old Keeshond. Smudge loves Colorado winters and diving into big piles of sparkly snow. 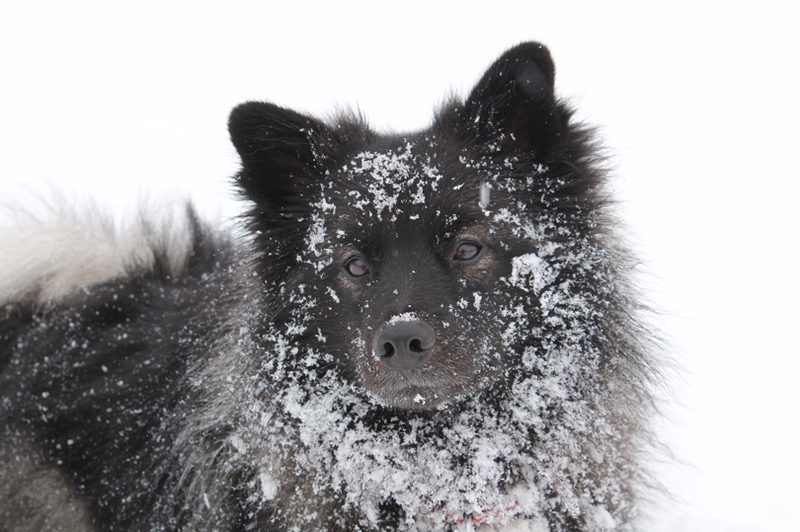 Her smoky black coat keeps her warm and visible as she frolics in this winter wonderland. My name is Kendle Frank. I am a junior in high school practicing my photography skills with my favorite subject matter: Dogs. There is something about capturing each dog’s personality and beauty through photography that lights a fire inside of me. I enjoy expressing my love for these amazing animals through writing and photography. There is no shortage of adorable dogs, as you can see by looking at the canine cuties pictured here. Smudge, 11-month-old Keeshond, and Lola, 8-year-old Labrador Retriever. 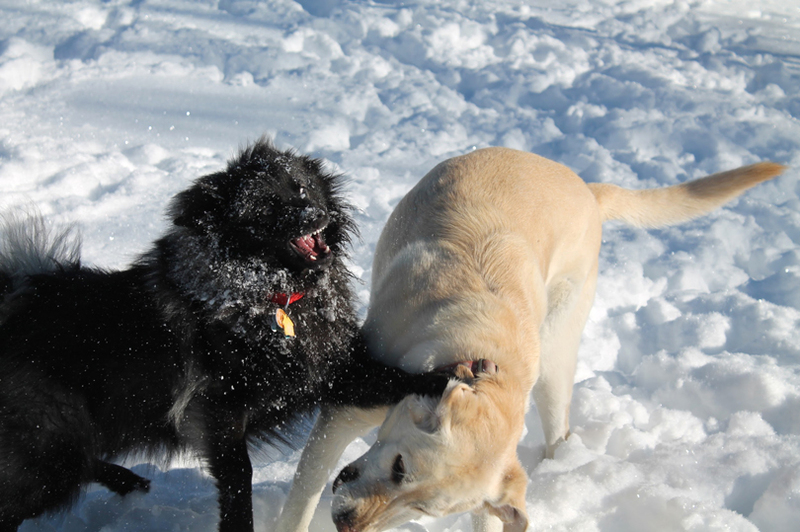 Pictured above is Smudge the Keeshond and Lola the Labrador Retriever. These unlikely sisters dispute over who’s the toughest by having friendly wrestling matches. Lola weighs 90 pounds, but she often backs down to the alien noises little Smudge makes to fight her off. Olive, 8-week-old Pug. 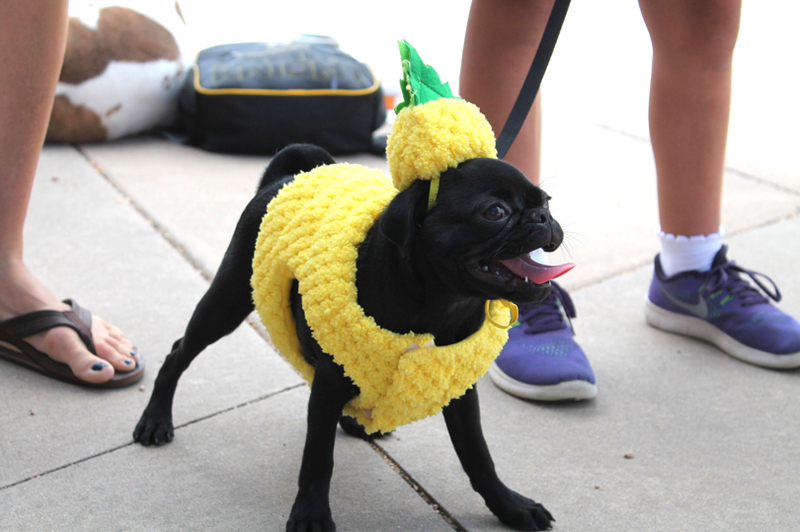 As sweet as her pineapple costume, this darling puppy was proud to win 3rd place at a Pug costume contest in Denver. Mixed breed, 8 weeks old. 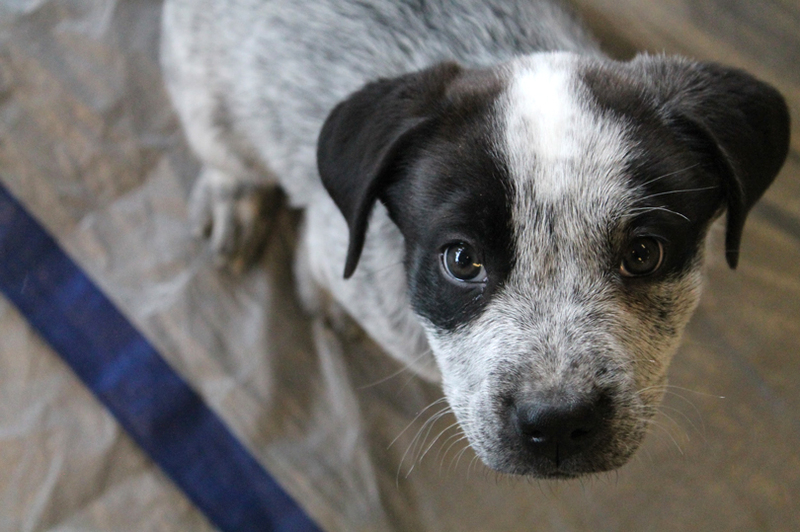 This rescue defines puppy dog eyes, begging every onlooker to take her home. Her rambunctious nature and undeniable beauty has won the hearts of many dog lovers looking for the perfect pooch. Mixed breed, 8 weeks old. 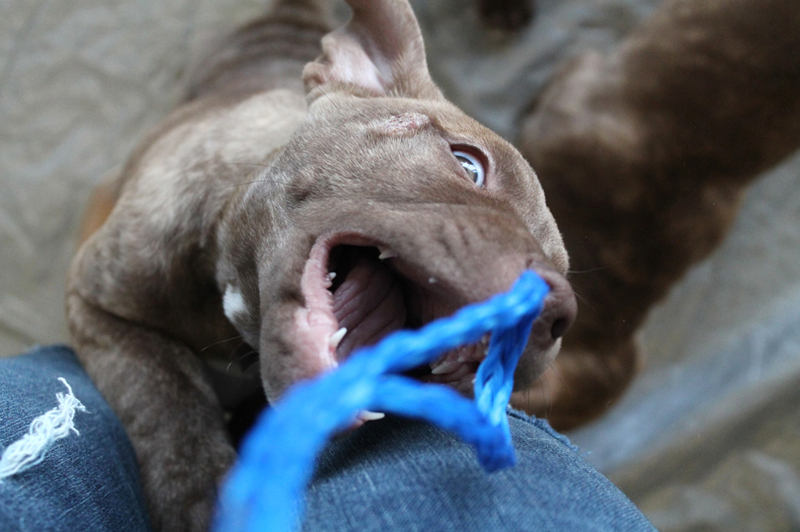 This charming rescue pup and her litter mates demonstrate the puppy spirit by chewing on everything they can reach, including the leash dangling around my neck, my tempting shoe laces, and even the bouncy strings dangling from my ripped jeans. Pug, 1 year old. 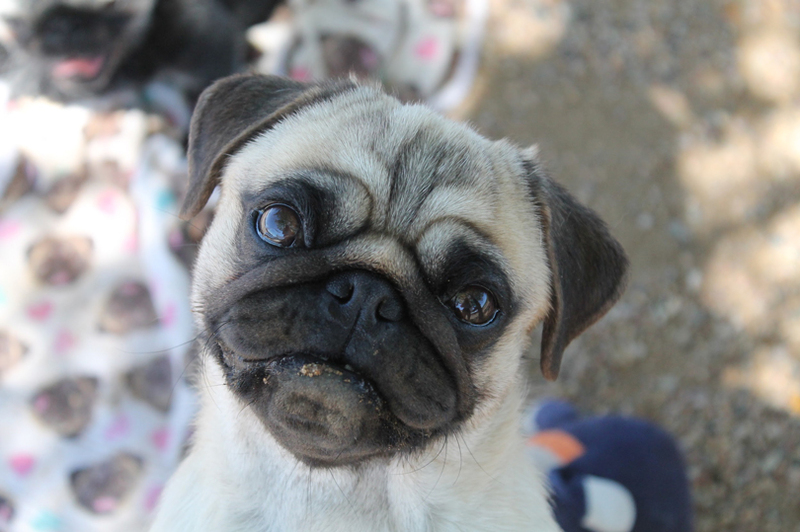 I photographed this little character at Pugs In The Park in Denver, Colorado. His renowned Puggy wrinkles and clownish face reminded me of why I love this breed so much. Their unforgettable appearance makes them the perfect model for a budding photographer. Australian Shepherd. 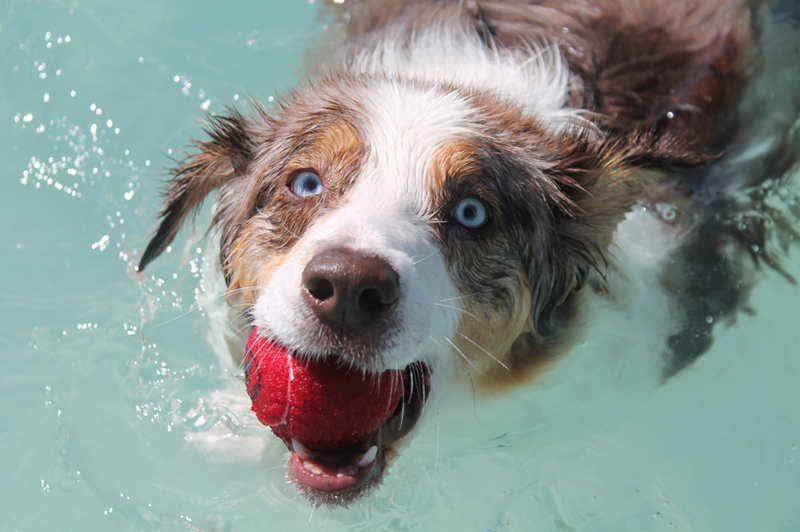 This Australian Shepherd, who was enjoying a cool swim on a hot summer’s day, swam right up to the camera before continuing her relentless game of fetch with her dedicated owner. 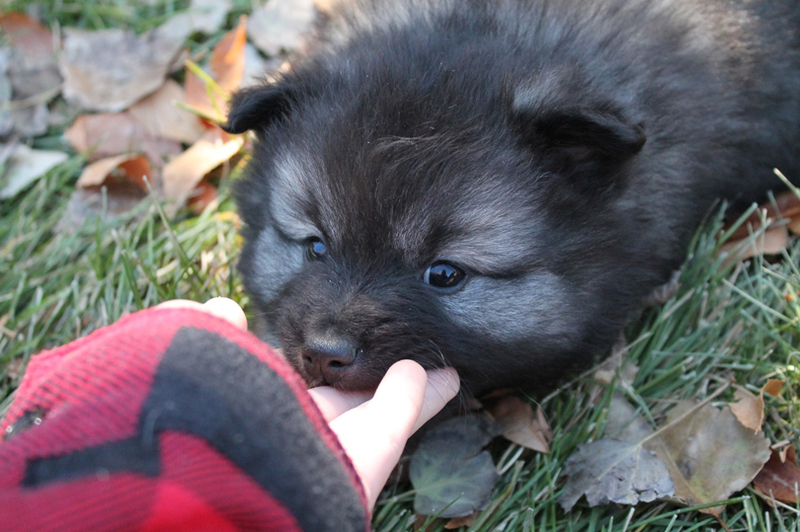 Keeshond, 6 weeks old. Keeshonds, who look like fluffy black clouds as puppies, are born to be photographed and appreciated for their captivating good looks. This tiny “Smiling Dutchman,” as the breed is known, has a lovely personality and sweet cuddly demeanor that you can’t help but love. Lola, 8-year-old Labrador Retriever. 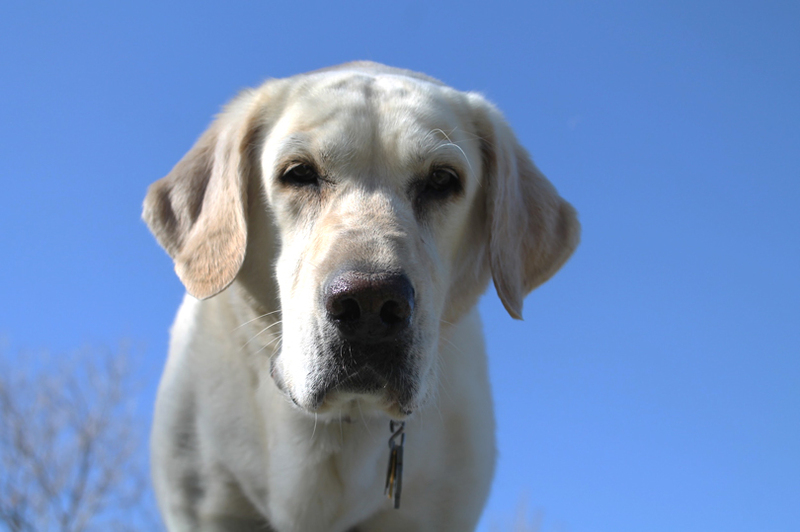 Lola the Labrador Retriever enjoying a warm spring morning. It perfectly depicts her angelic beauty and strength as a large dog. I plan on furthering my education and refining my photography skills. As long as there are dogs to photograph, I will continue to show the world why these creatures are so special.